Plantronics .Audio 480 Computer Headset - Headsets Direct, Inc.
.Audio 480 Computer Headset has been discontinued. In an airport, on a train, or a busy hotel lobby, the Plantronics .Audio 480’s sophisticated features and cool profile make life on the go more enjoyable. The flexible boom lets you bring the microphone close for private conversations. 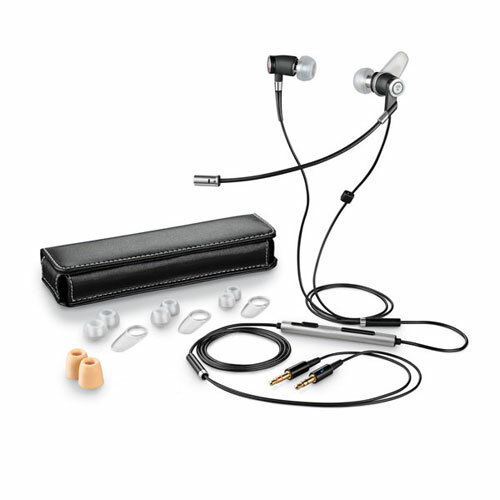 Sound-isolating earbuds block out unwanted noise, allowing you to immerse yourself in rich stereo sound. Callers benefit too with a noise-canceling microphone that minimizes external noise, making it easier for them to understand you. When it’s time to be on your way, the headset folds and fits easily into a crowded briefcase. A quiet oasis in the midst of clamor.